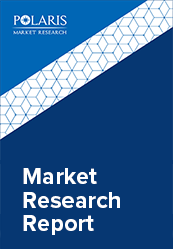 The global Tumor Ablation market is estimated to grow at a CAGR of 10.0% between 2018 and 2025. Tumor ablation is a minimally intrusive surgical process which is used for the cancer treatment. This is an image-guided procedure that uses heat to extinguish or destroy cancer cells. The imaging technique used are computed tomography (CT), magnetic resonance imaging (MRI), or ultrasound to monitor a needle electrode into a cancerous tumor. The global tumor ablation market is driven by the factors such as rising occurrence of different forms of cancer, technological advancements in the field of tumor ablation for cancer treatment, and rising awareness concerning the benefits of ablation procedures over conventional or traditional surgical procedures. Moreover, rising number of ablation centers, surgical centers, and hospitals are driving the growth of tumor ablation market globally. Additionally, the continual developments in ablation expertise, leading to the increased development of new and pioneering products that are the efficient, safe, and minimally invasive are also advancing towards significant growth of the global tumor ablation market. The global tumor ablation market is segmented on the basis of type of technology, mode of treatment, and application. On the basis of type of technology, the global tumor ablation market is segmented into Radiofrequency (RF) ablation, Microwave ablation, Cryoablation, and others. In 2017, the Radiofrequency (RF) ablation segment is estimated to dominate the global market with the highest CAGR. On the basis of the type of technology, the global tumor ablation market is further categorized into surgical ablation, laparoscopic ablation, and percutaneous ablation. Moreover, on the basis of application the market is segmented into liver cancer, lung cancer, kidney cancer, bone metastasis, and others. By geography, the global tumor ablation market is segmented into five major regions, North America, Europe, Asia Pacific, Latin America, and Middle East & Africa. In 2017, North America is estimated to dominate the global market due to the early adoption of the treatment procedure. The regional market is expected to remain on the top over upcoming years owing to technological advancement, high prevalence of cancer, and rising geriatric population in this region. On the other hand, Asia Pacific is anticipated to represent the promising growth opportunities in the forecast period due to rapidly expanding capital in research and development in medical and healthcare, rising medical expenditures in emerging economies such as India, China and Japan, high medical needs, and the increasing focus of global players on this region. Some of the key players operating in global tumor ablation market are EDAP TMS S.A., St. Jude Medical Inc., BVM Medical Ltd., SonaCare Medical LLC, AngioDynamics Inc., Boston Scientific Corp., BTG International Ltd., Integra LifeSciences Holdings Corp., and Medtronic plc. among others.